Today I want to write something about Côte d’Ivoire. Why is this relevant on an Afro-European blog? Because the current situation in Côte d’Ivoire is about conflicting interest between Africa and Europe. Because the Ivoirian community of France is clearly expressing its frustration in the way France (and generally the West) is involved in local issues in Africa (see video's below). 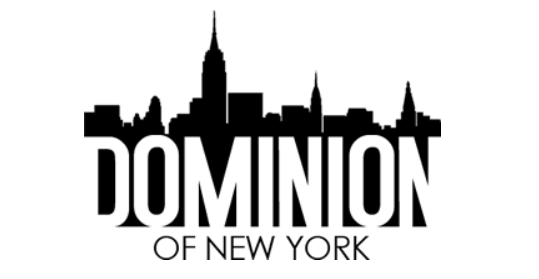 In this post I will try to clarify what is exactly going on as I think this story is relevant for most ex-colonies in relation to their past and Europe, this story is relevant for all Europeans of ex-colonial origin. Côte d’Ivoire is on the brink of a civil war. Again. People disappear, others are threatened. 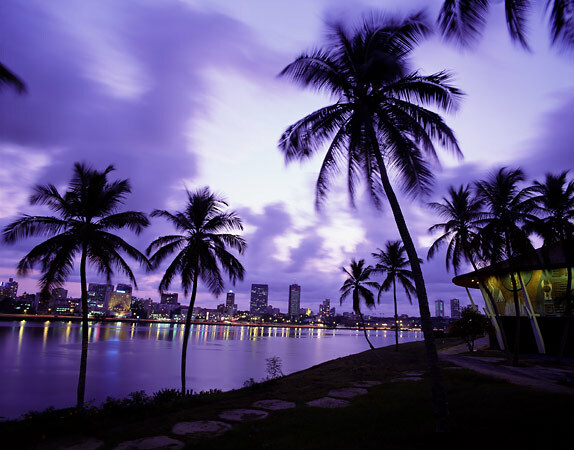 Côte d’Ivoire has long been considered an example of how it should be. But while being the greatest cocoa exporter in the world, while being a economically prosper country, Côte d’Ivoire still has its majority population living in utter poverty. Many countries in Africa have the poorest populations in the world while they often are very rich countries. The reason for this is complex. There is the colonial heritage, there are Western financial interests, there are disloyal and corrupt leaders, demographic explosion, … Côte d’Ivoire is today another victim of all these elements. Big boys with different interests are using the African people to gain their advantage, whether black or white, Ivoirian or French. Côte d’Ivoire has long been a prosperous country. It is the world’s lead cocoa exporter and Africa’s biggest palm oil producer (palm oil is an important raw material in the manufacture of soaps, washing powder and other hygiene and personal care products, besides biodiesel). Even before independence Côte d’Ivoire was economically the most important region of French West Africa (which was administered as one colonial entity, only divided by France during the independence struggle). Many people from all over French West Africa migrated there for work. After independence this trend didn’t stop. These migrations have been going on for decades now, and many people who are born and raised in Côte d’Ivoire have foreign roots in other formerly French West African countries. Many live in the north and urban areas, with a concentration in the economical center of the country: Abidjan (the capital being Yamoussoukro). Not only Africans moved to Côte d’Ivoire for work. In contrast to many African nations, the presence of French people more than doubled after independence while many other Europeans also came to work in Côte d’Ivoire. Today the white elite is fleeing the country. Côte d’Ivoire is not just another African republic. Western nations, France first, have many financial and economical interests there. This is why they are getting involved so much. Below I will go deeper into Côte d’Ivoire’s history and the meaning of last elections for the international community. 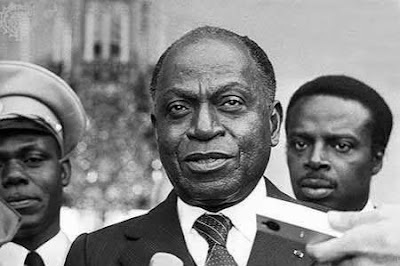 Félix Houphouët-Boigny was Côte d’Ivoire’s first president and he stayed in power until his death in 1993. Although having spend large amounts of public money for megalomaniac projects, he was and still is a very much respected and loved figure for the Ivoirian people. Félix Houphouët-Boigny has been instrumental in keeping the Ivoirian nation united, avoiding ethnic tensions and accepting Ivoirians of foreign origin as fellow nationals and Ivoirians. Félix Houphouët-Boigny is a giant of the African emancipation. He is a name stated next to Senghor and Césaire. He left a stable and relatively prosper country behind him. Things would start to change dramatically after that. Bédié followed him up. He succeeded to divide his rivals and held on to power. To do that he emphasized the concept of ‘Ivoirité’, or Ivoirian identity, excluding his main political rival Allassane Ouattara, Houphouët-Boigny’s last prime minister. Although Ouattara was born in Côte d’Ivoire from parents who were also born in Côte d’Ivoire, he has roots from Burkina Faso, which made him in Bédié’s concept of Ivoirité a foreigner. This excluded Ouattara from presenting himself for the presidential elections of 2000, but also excluded a great many people in Côte d’Ivoire from the Ivoirian nationality. Consequently the relationship between various ethnic groups became strained and a fire was sparked which is still burning today. Bédié also tried to exclude potential opponents from the army. This led to a military coup in 1999 and the organization of new elections in 2000. That’s when Gbagbo got elected. Still, the concept of Ivoirité persisted in post-Bédié Côte d’Ivoire. Excluding Ouattara from the 2000 presidential election led to the civil unrest during the elections and eventually to a civil war in 2002. The rebels controlled much of northern Côte d’Ivoire, where many Ivoirians lived who were excluded from Ivoirian nationality due to the Ivoirité policy. The rebels threatened to seize Abidjan, the economical center, but then France came into the picture. Under the official stance that French soldiers were sent to protect French citizens living there, many consider they were there to protect their financial and economical position. For many Ivoirians today the French actions worsened the situation in the long term. France didn’t learn from what happened then. Alassane Ouattara took refuge in the French embassy, his home in Abidjan burned down. President Gbagbo stated, in a television address, that some of the rebels were hiding in the shanty towns of Abidjan where ‘foreign migrant workers’ lived. The police forces bulldozed and burned homes by the thousands, attacking the residents. 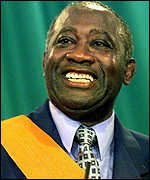 Eventually a few months later in 2003, Gbagbo and some rebel leaders signed accords creating a government of national unity. But that government prooved unstable. UN peacekeepers and French troops still controlled areas of the country and violent clashes occurred often. When the time for presidential elections came in 2005, it was deemed impossible to hold an election due to the lack of disarmament. The 2005 elections were postponed until last month, november 2010. This time Ouattara was not excluded because of his so called Burkinabe origins. The preliminary results announced by the Electoral Commission showed a loss for Gbagbo in favour of Alassane Ouattara who won with 54% of the vote (having received most votes from the Northern departments and the city of Abidjan). Gbagbo’s ruling FPI contested the results before the Constitutional Council, charging massive fraud in the northern departments. These charges were contradicted by international observers. The Constitutional Council, which consists of Gbagbo supporters, declared the results of seven northern departments unlawful and that Gbagbo had won the elections with 51% of the vote. After the inauguration of Gbagbo, Ouattara, recognized as the winner by most countries and the United Nations, organized an alternative inauguration. These events raised fears of a resurgence of the civil war. When I heard this news I was tempted to compare Gbagbo’s succes with the re-election of George W. Bush. But I couldn’t remember any official foreign reaction or support for Al Gore at the time. I am not a Gbagbo fan. Since he came to power he has always used the ethnic card to gain popularity. Besides that he has questioned the French presence and economical interests in his sovereign country. This has led to ethnic tensions and to a worsening of the economical situation. The first who suffer are the poorest, not the political elite. But Gbagbo blames the ‘foreign immigrants’ and the French. Ouattara represents both at the same time. Considering the election’s official results (51% for Gbagbo) I would think that Gbagbo’s discourse is not that convincing for the Ivoirian masses. Still, considering all this I wonder if it is a good idea to try to oust him from power right now. Certainly, I don’t think that it is the West’s role to do so. Sadam Hussein may have been a ruthless dictator, ousting him from power hasn’t improved the lifes of Iraqi’s. More on the contrary. Ouattara is considered by Gbagbo as a representative of foreign and Western interests. And he actually is. 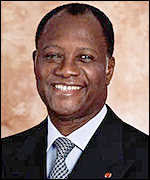 Ouattara was educated in the US and earned a PhD in economics from the University of Pennsylvania. He worked for the IMF and the BCEAO (central bank for the east African states) in Paris which makes him an advocate of the Franc CFA. The Franc CFA is the common currency of most former French colonies. It is pegged to the Euro and according to many critics the cause of many economical problems and the economic dependency of these African states towards Europe. The Franc CFA is controlled and managed from Paris. Ouattara worked for the BCEAO in Paris until becoming its governor in 1988. During the last years of Houphouët-Boigny’s rule from 1990, he was Côte d’Ivoire’s prime minister and actual leader once Félix Houphouët-Boigny got too ill. Ouattara was the one who announced Félix Houphouët-Boigny’s death to the nation. After a brief power struggle bewteen Bédié en Outtara, Bédié became president en Ouattara resigned as prime minster. He went back working for the IMF as Deputy Managing Director and stayed there until 1999. After that he re-entered the political arena in Côte d’Ivoire leading up to the elections of last month. Because of his career and marriage to a French woman (Dominique he often is considered by his critics as a representative of French and Western interests, and considered due to his northern roots and white wife, as not a real Ivoirian. All these are false arguments of course. While understanding the critique against Western economical interests in Africa I don’t think that confrontation is the best tactic to improve the live of the Africans. It might get you elected, but then? Considering the reactions of Ivoirians in France it is clear that even if Gbagbo stole the elections it is not the role of foreign nations to intervene in local matters. According to Ivoirians this can only worsen the situation and divide the nation even more. The Ivoirians have to solve their own problems. As you can see in the video’s above the Ivoirians are divided, but they areready to talk. Most voices of whatever side are against war and violence and have a peaceful message. According to me Ouattara should accept his unfair defeat and go into opposition. From there he should teach Gbagbo what is democracy and from there he can either trap him (blame Gbagbo for all problems or show that he doesn’t do what he says) and make himself popular to an even larger electorate. Gbagbo plays the role of the ‘real African’, fighting against the Western interests and therefore ‘for the African people’. But at the same time he is throwing oil on the ethnic fire that is burning since Bédié’s presidency. Côte d’Ivoire is devided between North and South, between Muslim and Christian, between ‘foreigner’ and ‘autochtones’. But it is a false division that is hiding the deeper laying problems of a rich country with too many poor people, of a rich country where foreigners, big companies and corrupt politician are getting richer, while the masses are living in dire poverty. It sometimes seems to me that Gbagbo is copying French political style, where Frenchness is questioned (refering to Sarlozy’s ‘débat sur l’identité française’) next to the so called ‘immigrant Muslims’. Today the country has been sealed off from the outside world by Gbagbo. Gbagbo is not considered a lawfull head of state by the UN, EU and US. They only recognize Ouattara as the lawfull president. But a president without power, and the West’s reactions is only worsening the local situation. Everybody is holding their breath. All this happens today in so exemplary Côte d’Ivoire while Guinea-Conakry, the bad boy of former French colonies (who rejected the Franc CFA and has its own currency), a country with difficult diplomatic relations with France, just had its first free and fair elections since independence (without France or the UN getting involved). The transition from dictatorship to military rule and then elections didn’t happen without problems of course. But it was a transition done by and for the Africans themselves. Let’s now wait and see what freshly elected president Alpha Condé will do for his country and its people. Thanks for this article, trying to explain exactly what is the situation, as it is difficult to find non partisan opinions on the French Media (paricularly at the beginning)about this situation. Just one thing to say, In the Wester Countries, the Rebels are called Terrorist (a group trying to take over the power using the force, exactly what the rebels tried in 2002). Why is that all the International community doen't understand that, and the INUCI had to disarmed them before the election. It never happened. Wherever the UN is present in Africa, they are never useful, never (RDC for example).